Sometimes it is hard to remember that your goal and purpose is to drain the swam when you are up to your elbows in crocodiles. That is the way it is going this week. We feel that God is calling us to confront one of the great problems in this part of Mexico. The great problem is poverty. Fathers are forced to leave their family in village as they seek money to survive in the tourist town like Cancun or Playa. Many never return to their families. In the small Mayan village of Chan Chen we are trying to build a small hotel and market center to bring some long term opportunities to these people. We are going to try to develop a new type of tourism. These tourist would come and stay in the village of Chan Chen. These would be tourist who want to use their vacation time to make a difference in the world through many different types of service projects in the village. We also will enlist churches to bring mission teams to the area and stay in the new Mayan Friendship Hotel. We have started the project. We drilled the 100 ft water well and we have clear the land. The total projected cost of this construction is only $100,000. For me that is a big number when we are facing all that we are facing just to pay the bills. We need to move faster because of the crocodiles , our crocodiles are those daily needs of the people have in the village. We can not meet them all but it's hard for them to have hope and support for our project when they are facing so many big problem today. This is at the heart of all poverty they can not plan are even hope for the future when the pain is so great today. We have our on crocodiles as well. Our car is on it's last leg, I was sick this week and we have doctor bills but I am better now thank God. They doubled the rent this month for our meeting place for the new church start in Playa. I still believe God is going to do great things here. You can help us drain the swam in Chan Chen faster by giving and praying. This up coming week we plan to have a Sunday services in Paamul and Playa. Pray for the growth of these two worship services. Monday - Pray that we can get the land survey done. Tuesday - Pray that I will get the drawings back from our architect. Also we are planing to drill the water well on Tuesday. Wed. -- Pray that we will get started on running the electrical lines out to the site. This is Mexico and if we get all this going this week I will know God answered our prayers. 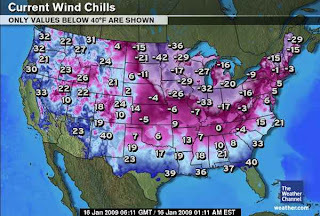 If today you have something called a wind chill factor where you are living that could be God telling you it's time to plan a mission trip to Playa del Carmen, Mx. Yes the weather is great and the opportunities for service are even greater. We need your help as God is expanding our ministry. We are going to be reaching out to five groups of people this year and we need hundreds of volunteer missionaries to help. We are planning a new outreach to the Mayan speakers, we also are seeing God opening doors for us to work with Cubans who are moving to this part of Mexico and we have our church service in Paamul in English and the Spanish speaking service in Playa. In June we are planning to start a major outreach to youth living in playa. So if it cold up there God has a hot opportunity for you and your Church in Mexico. Email doug@church-in-playa,com and let us put a date on calendar soon...... We also need your prayer as we raise support for the work in the Mayan Village of Chan Chen. As you watch this slide show please pray for the people of the small Mayan Village of Chan Chen. I also wanted you to hear the music of our prasie team in Playa. Daniel and wife Liem are doing a great job with the music. We are back home and it is like catching a moving train. We had a full day today after getting home last night about 10:0pm. I am going out to Chan Chen to make plans for digging the water well on Thursday. We have money to start phase #1 in the Chan Chen Hotel and mission center project. I am having computer and internet difficults so if you have email me in the last few days and I have not sent a reply I may not have recieved your email so please resend. I need your prayers and I face the busy week ahead. Sat. we had a big family reunion at Darla's Brother's home. This morning we were at Darla's mom's church ,Puxico First Bapist. Tomorrow we fly to North Carolina to visit my folks.